Who would think a few posts and barbed wire could be so beautiful. Art is where you find it. Oh I just love this amazing scene Buz. The detailed grass in the foreground and the light is just perfect. The fog in the background really adds a nice touch to this charming scene.BBV!! A lovely, peaceful image. Beautiful lighting and composition. V.
What a lovely mood you've captured here. A great photograph, really like this one. Marvelous light illuminating the fence against the gloom, making for a great mood. V.
Wonderful atmosphere with this lighting and fog. So well composed. Very nice depth of field. "V"
Another great shot with an interesting fence and beautiful light. A really lovely and relaxed picture, Buz. strong emotions is incredible, Buz. the mood is incredibly lovely.V. 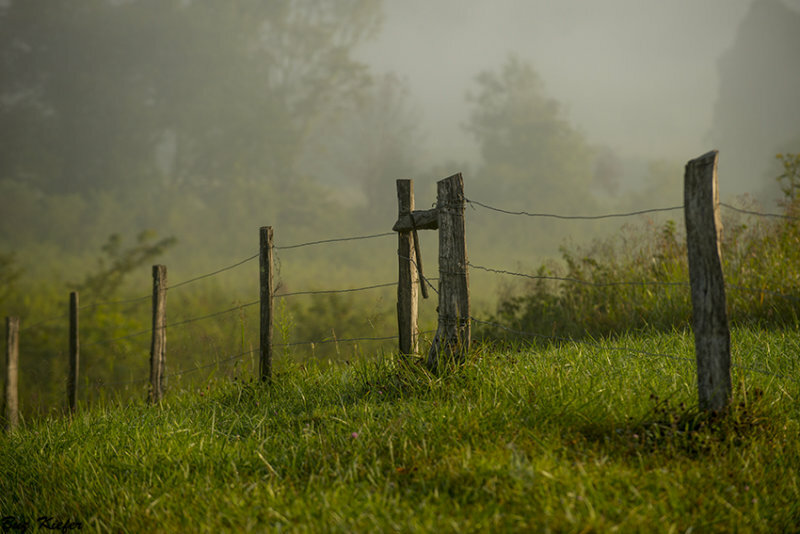 A fence line on a small hill might seem ordinary, but this image certainly is not! Very beautiful, subtle, gentle. Simply wonderful, Buz! I love it!! Superb photography, Buz. The light and atmosphere are wonderful. Great processing also. The rich tones.mist. and composition are all together in harmony. A beauty, BUZ "VVV"